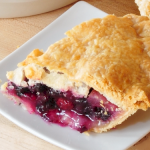 Every time you slice into the crumb topping of this pie you’re greeted with delicious, mouth-watering blueberries. The perfect choice for Valentine’s Day, our Raspberry Cream Pie is topped with homemade raspberry gel for a picture perfect treat. Warm up at your local Pie Shop. Sometimes you just need to relax at your favorite coffee destination. 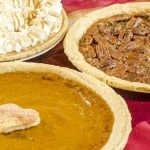 Get your favorite drink and chill at the GT Pie Company. Get ready for the holidays with one of our holiday favorites, sure to make the family happy at the dessert table.